Are you in search of pressure washing services? Then this is where your search ends.We here at M&M sweeping offer you the combination ofcleaning efficiency of state-of-the-art power washing equipment with well-trained technicians.Also add commitment to the environment. And what you get is the most effective professional power washing services available. Contact us here and see for yourself.We also care for nature and our methods are environmentally friendly. At M&M sweeping we specialize in hot water, low pressure residential cleaning. Our professionals work with combination of pressure, hot water, high volume equipment, that are safe to both the resident and environment. The traditional methods can can cause you serious damage in your window screens, blow seals in thermopane windows, and force water behind vinyl, causing mold and mildew problems that you can’t see! 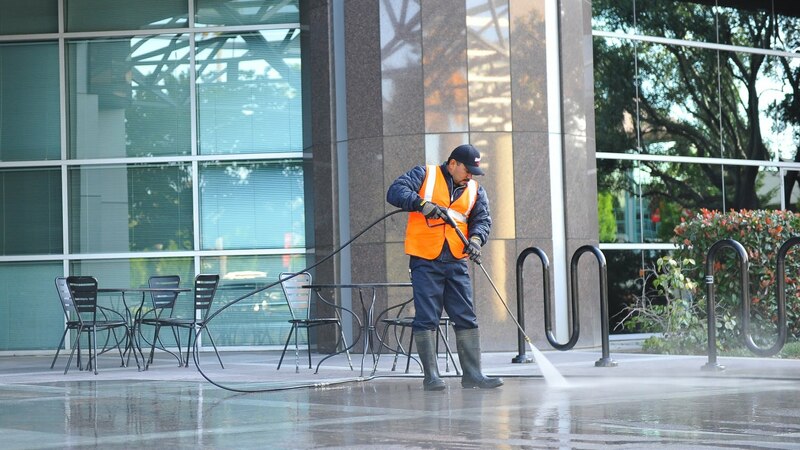 For Industrial pressure washing, that presents many unique challenges.Our pressure wash services are equipped to deal with each and every one.